You’d think that bringing the most terrifying army the world has ever seen to Fairyland in Once Upon a Time and to a tropical paradise in Evil of the Caribbeanwould be enough, right? Not for the Dungeon Lord! Kalypso media is excited to announce (with a sinister cackle) that its highly acclaimed dungeon management sim, Dungeons 3 has today received its third and final DLC pack – Lord of the Kings! After the events of the Evil of the Caribbean DLC pack, the Now-Slightly-Sunburnt Evil has decided that it’s time for his army pack up their towels and leave the beaches of Turtoga in a much worse state than they found it to go and fight the good bad fight in an all-new royal adventure! The great King Arcturus has returned from his recent quest with the Holy Grail in tow, only to find out that someone has devastated his city of Stormbreeze, along with the rest of the kingdom. He immediately set about recapturing the lands, but hasn’t counted for the Always-Has-The-Last-Laugh Evil. Hey, we all make mistakes. In a sickeningly good-natured turn of pace, players will start out helping King Arcturus, but don’t count on that lasting for too long. Remember, nice guys finish last – especially when the Absolute Evil is involved! Priced at £3.99 and available now on PC, PlayStation®4 and Xbox Oneworldwide, the Lord of the Kings DLC pack includes three new campaign maps, three evil hubs, a new boss enemy and a new wall tile set to add some ruthless style to the Absolute Evil’s dungeon. The Lord of the Kings DLC is now available for PC, PlayStation®4 and Xbox Onefor £3.99. 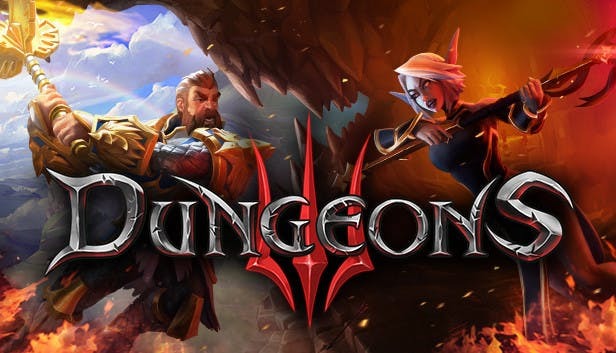 Dungeons 3 along with the Once Upon a Time and Evil of the Caribbean DLC packs can also be purchased worldwide. Review code is available – please contact the UK PR Team with your preferred platform or request access via Keymailer.